These are the last days before the day of the Lord Jesus Christ will return very soon! However God has called out a remnant of people to be priests and prophecy motivated people, that are moving in the greatest miracles of God, cleansed the lepers,heal the sick, and raise the dead,Jesus said these signs will you do and even greater signs will you do because I go to my father. What will you be doing in the day of the terrible days of the coming of the Lord! Will you be rejoicing or will you be in fear? Will you be ready for the "Blow The Last Trumpet In The Remnant Church"
Please visit RevBrian’s Youtube Channel Click Here! THIS IS A Easter SPECIAL THAT WILL BE TAKEN DOWN SOON! Well how do you make them Money Sucking websites you got? Then this young man said this should be sucking heaps of clients for you Rev ..? Huh yes? “I am sorry to say no my boy it has made me nothing!!! “ What he said it’s a great place to get all our Spiritual food Hey Rev? Well I am delighted to put my name to this as a friend for traffic for the website! Click and see NOW! …and I rest my case!!! You too can Get a FREE pdf file e-book that tells you how to get traffic and teach others and get you commissions for doing so! >FOR FREE ADVERTISING CLICK HERE!Hebrews 13:4 tells us: “Marriage is to be held in honour among all, and the marriage bed is to be undefiled; for fornicators and adulterers God will judge.” Marriage is not only to be held in high honour by all, but its object in this passage is stating that “honour” is to be shown to marriage as an institution. It is not to be undervalued as though celibacy were purer. It should not be dishonoured by any violation of the marriage contract. This means, the “contract” established between a man and woman is a “covenant” sealed in heaven. What God joins in a union, no man or his laws can separate. Matthew 19:6 says: “So they are no longer two, but one flesh. What therefore God has joined together let no man separate.” When mankind devalues the marriage institution, they are subtly attacking the “marriage of the Lamb.” For God, the Father gave us the institution of marriage to demonstrate, by law and relationship, what is to come with His Son. 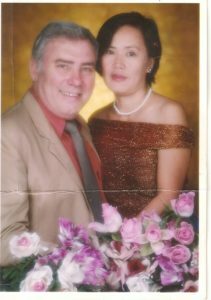 I became a Marriage Celebrant and a Priest in my home after the near dead experiences 3 times first time in 1973-4 Then I woke up to the fact that I need to be properly married!!! It means understanding that each individual is unique, and recognizing our individual differences. These can be along. the dimensions of race, ethnicity, gender, sexual orientation, socio-economic status, age, physical abilities, religious beliefs, political beliefs, or other ideologies. KNIGHTS CODE OF CHIVALRY A knight was expected to have not only the strength and skills to face combat in the violent middle Ages but was also expected to temper this aggressive side of a knight with a chivalrous side to his nature. 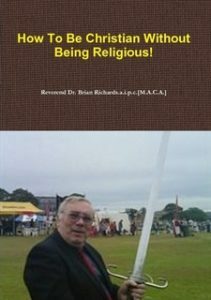 http://www.divineconnexionsofchrist.com/how-to-be-christian-without-being-religious/There is a Torrent of Blessings by reading this book and I don’t mean the weather this is a Torrent of Holy Ghost Power.